The latest research by BrightLocal says that more than ever consumers are actively seeking online reviews before deciding which business to contact. 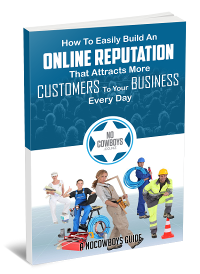 The research establishes just how essential an online reputation is for every business, big or small. Since 2011 the “Local Consumer Review Survey” has pointed out the growing dominance of online reviews as the largest motivating factor in consumer behaviour. The results of this year’s survey say that more than ever, consumers are looking for reviews and becoming even more discerning about how they read reviews, which reviews they trust, the increasing value they place on businesses responding to reviews, and what they are likely do do after reading reviews. As we accept the reality of the digital marketplace, it should not be surprising that practically every consumer (97%) uses the internet to search for a local business. We are no longer reliant on the outmoded marketing strategies of print, radio, and other media. That is because they say nothing about how good, or bad, a business is – they are merely branding. Consumers are looking for the opinions and judgements of other consumers. In 2016 54% of survey respondents said that their next step after reading positive reviews was to visit the business’ website. This year that figure has dropped 17% to 37%. The reason for this may very well be the growing importance of Google my Business profiles, which display contact details on the same search page, as well as incorporating review scores from third party review sites (such as NoCowboys and Facebook). If a consumer is converted by positive views, then there is less of a need for them to click through to a business’ website. This shows just how vital it is to claim a Google My Business profile as an integral part of an attractive first page search portfolio and to make sure contact details are always up to date. One of every business’ most prized and important assets is word of mouth. It still exists, but has grown into an even greater tool by the reliance on online reviews. While people still give each other verbal referrals, good or bad about businesses, the recipients of those referrals will still actively seek online reviews to back them up. This is a valuable insight for every business – it confirms that the old school verbal referral is not worth relying on to spread the word about about a business. Online reviews spread a reputation much wider and have far greater value. The importance of a review’s content has changed since last year’s findings and suggests that consumers are looking for star reviews, how recent reviews are, and whether or not a business has responded to the reviews – good and bad. That last point has risen from 20% in 2016 to 30% of consumers in 2017 saying that seeing responses from a business is a valuable factor in how they view the overall reviews. How recent reviews are is another very important part of how a business’ online reputation is perceived. This year’s survey says that 77% percent of consumers believe that reviews that are older than three months are no longer relevant, while only 4% pay any attention to reviews that are over a year old. This suggests that the acceptance of timeliness and relevance online is something that consumers pay a lot of attention too. We live in times where news is almost instant, so anything old is treated with suspicion. The same goes with reviews. If they are older than three or so months, a consumer starts to ask the sort of questions that drives them away from a business. Why are there no recent reviews? What has happened? Has its service dropped? Is it out of business? Every business needs to have a visible, recent and active online reputation to even survive in today’s digitally dominated marketplace. 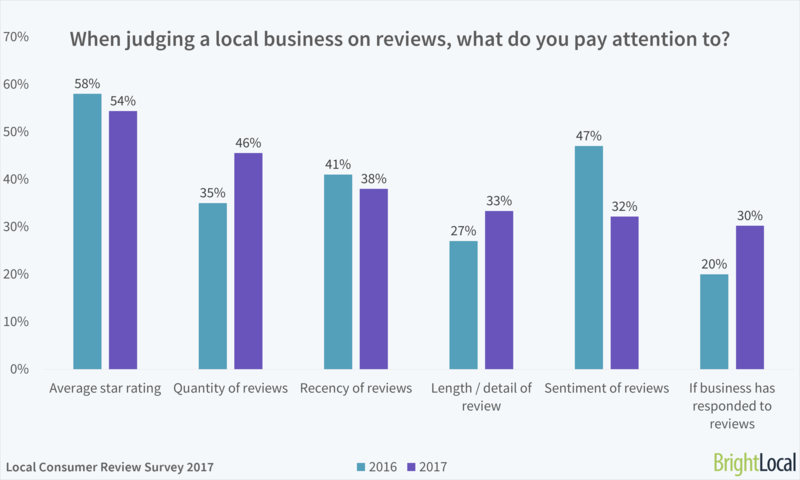 There are many more significant findings from the 2017 “Local Consumer Review Survey” and they point to a majority of consumers who will leave feedback for a local business when asked and an increasing number of businesses asking for reviews. But of most importance is the absolute value consumers place on authenticated, recent reviews as the one driving factor that motivates their decisions. Since 2006 NoCowboys has been marketing Kiwi businesses’ reputations so that they can truly ‘take care of business’. They are experts in online reputation marketing and offer the most cost-effective and valuable online marketing platform in New Zealand. To find out more about how they can grow your business – contact them here.